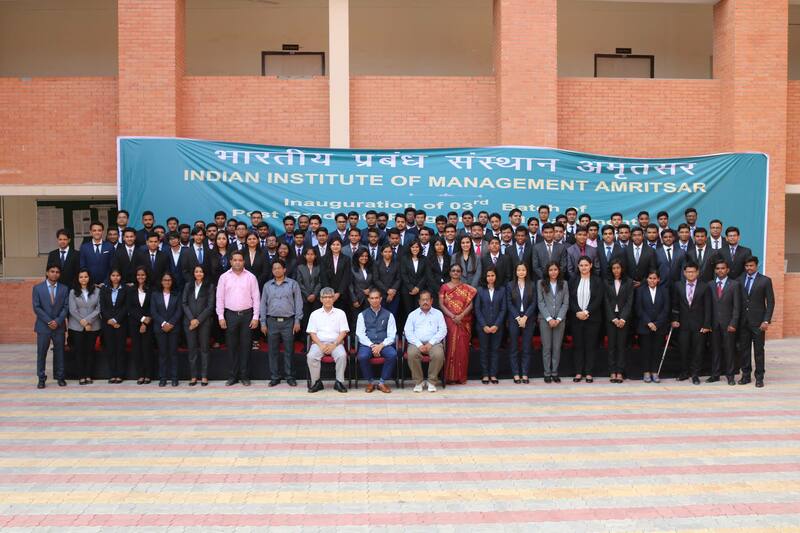 Prof. Debashish Chatterjee, Director – IIM Kozhikode and Mentor Director – IIM Amritsar, conducted the Leadership 4.0 – A Retreat for High Potential Leaders on November 19, 2018. The event was organized at Hotel Taj Swarna, Amritsar from 10:30 am to 1:30 pm.The event had participation of around 100 professionals from various industries in Punjab. There were representations from all sectors of Industry including Health, Pharma, IT, Textiles, Manufacturing and Education. Besides, there were participants from small and medium enterprises, administrative officers from Punjab Police, research scholars, professors and heads of institutions present during the events. The event was conducted on interactive workshop mode with specific cases of corporate leadership practices, exercises and shared insights. The retreat was an exploration of the four themes – Authenticity, Connectivity, Productivity and Possibilitythat constitute the four disciplines of Leadership 4.0. The key takeaways from the workshop included learning to work to the strengths without worrying about covering the weaknesses, learning those people capabilities one needs to win five years from now. It also involved learning to diagnose the problems well and differentiate between technical and adaptive problem solving, learning how to create a highly productive day in life by managing patterns of interference. Prof. Chatterjee helped participants in decoding the link between purpose, performance and possibility for increasing the organization’s happiness quotient. Prof. Chatterjee emphasized compassion, empathy and emotional resonance are the hallmarks of a great leader. The workshop attempted to encourage leaders to create the other-centred organization which would enable the happy employees to perform to the best of their abilities. The participants enjoyed exploring the answer to ‘who are we?’ along with Prof. Chatterjee with the help of interesting activities. Using many anecdotes and success stories, Prof. Debashish Chatterjee made industry leaders aware of the challenges facing leadership today and explained to them how they could overcome these by developing an understanding of themselves.